Customizing my phones look and feel has always been my big time hobby and since I rooted my android phone and installed a custom ROM with a more advanced home application like launcher pro, I have been looking for some really nice clocks for my Android phone’s homescreen . The reason why clock widgets from device manufacturer are preferred is because they provided a wide variety of clock models for homescreen but the long awaited updates carry no other enhancements or new clocks. But if you been looking for a similar solution or just want to give your android phone a clean and more beautiful feel, 1010ti.me is the tool you must have. 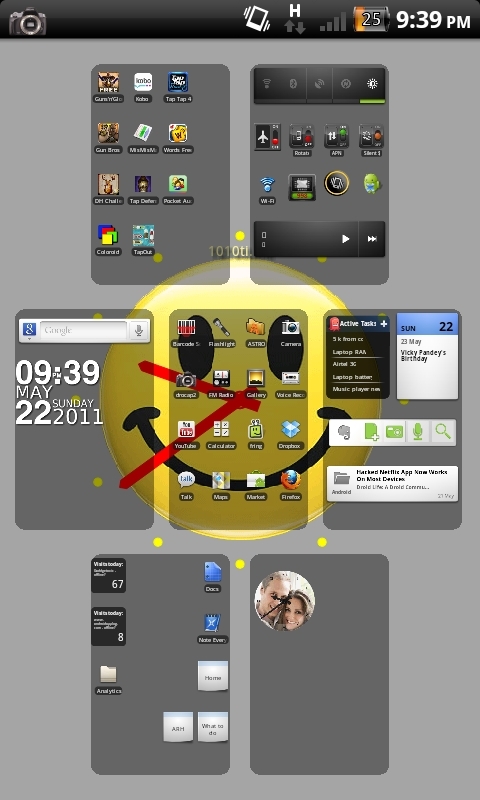 1010ti.me is quite simple app which allows you to set new clocks in form of live wallpapers and widgets. 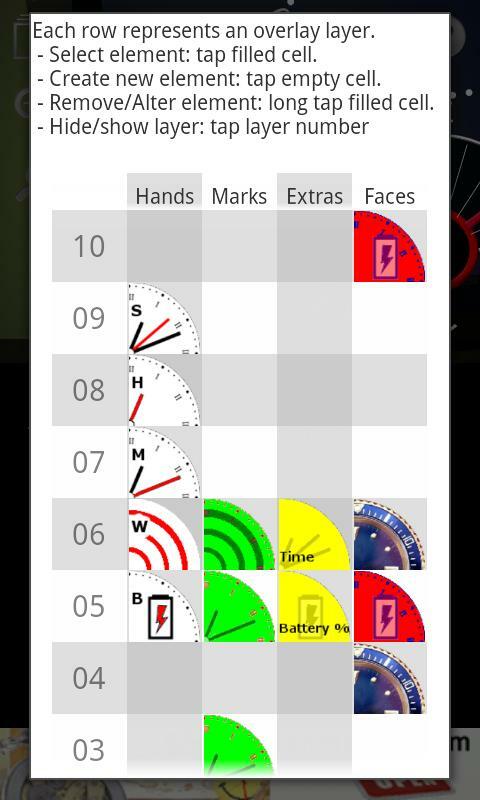 Start with the app for your first time and your will be greeted with the a fresh collection of analog and digital clocks with different patterns like Roman number ,BIT numbers , day display , CPU and battery display and lot more than you can imagine . 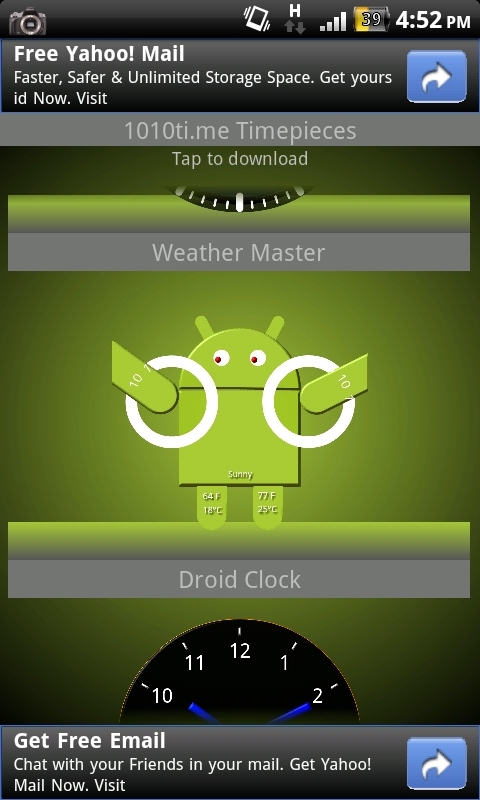 You can use any of these clocks just by “set as widget’ or “set as wallpaper” option in the menu. 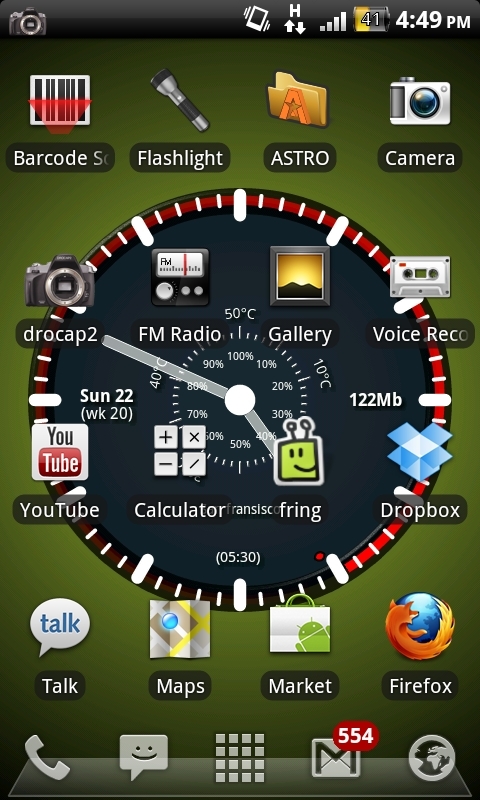 Once you have chosen your style and way to display clock, go to the homescreen and choose set widget or live wallpaper depending on the way you wish to place the clock. If you choose to display the clock with live wallpaper you will be able to notice it anywhere on your homescreens but it may sometimes overlap with colors of your icons but don’t worry the clock has customization for all this . The 1010time widgets can be a real fun which are available in two sizes – small and large and offer you more control over your screen elements. Suppose you want to have shortcut icons below or beside the clock you can easily manage them with a small sized widget and conserve your screen’s real estate. If you love playing with colors, shapes and sizes the “edit” option in the app menu will give you total control over your clock by giving you ability to edit each and every element of the clock. 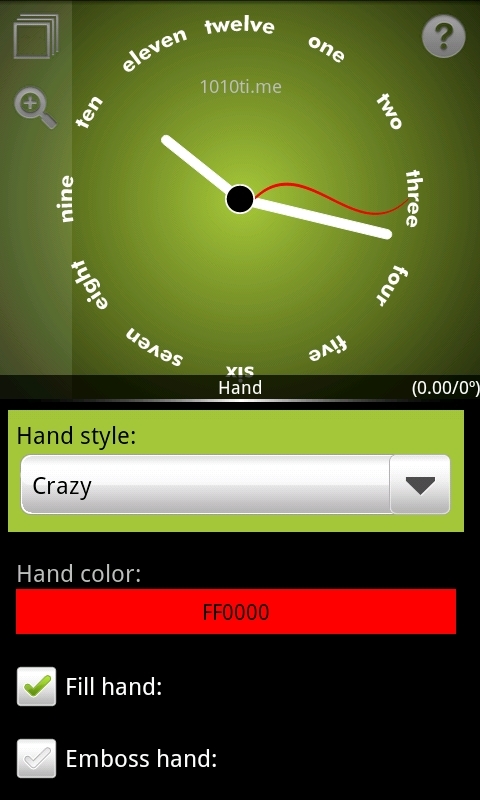 Now you can have crazy clock hands, your own image background, kind of number labels and any other element you observe in the clock with the editor. Not everyone is an artist and that’s where the Online gallery feature comes in play . 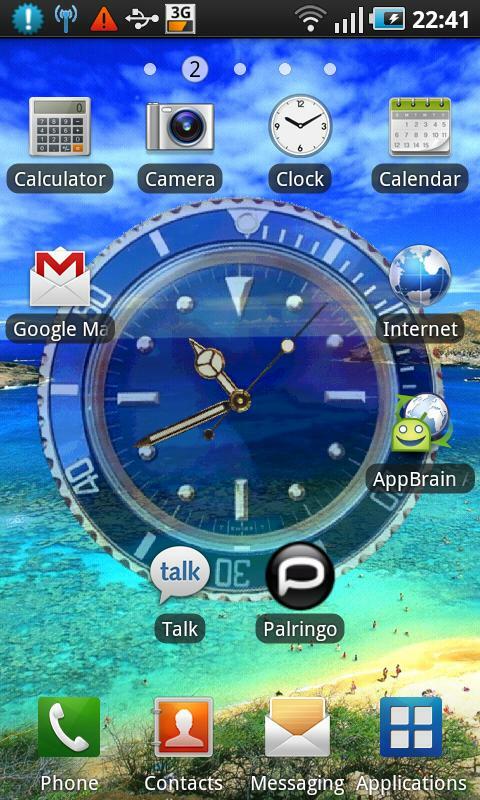 With this you can download a wide variety of clocks updated every few weeks by the developer of the app. Some clocks you may download will have a trial period and will expire after a period of 2 weeks but you can keep them forever and get rid of ads by upgrading to the Gold version which doesn’t have restrictions and offers more powerful features. The preferences section can help you do even more with the clock. Settings like hide clock with a finger fling up action and reuse it with fling down action on homescreen wallpapers, widgets and desk mode ; update frequency of update, single and double touch action , setting a background image/color , toggle weather info and lot more can be done here . You can also reset the database if you think you have overdone editing your clock and start with a clean and fresh app again. Share your design or send it to your friends and let them thank you for the coolest clock they have ever seen. 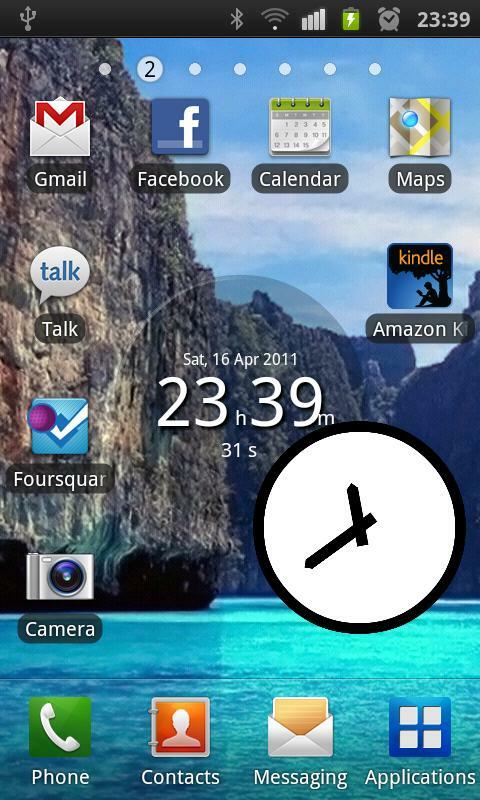 You can share your clocks on dropbox , evernote and email. 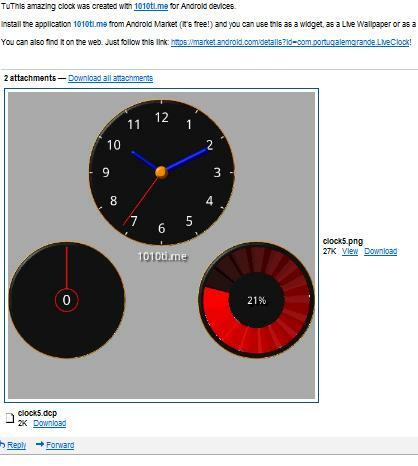 If you are planning to share a clock by just sending it over mail, the recipient will get a preview as well as the clock theme files which they can use it with their app. Similarly you can upload it to dropbox or evernote and share the links with your buddies. Honestly 1010ti.me is one of the most advanced and useful applications which I use in my daily life(after Facebook and Gmail). Try this app for free and you always have choice to upgrade to Gold version available for just over a buck. 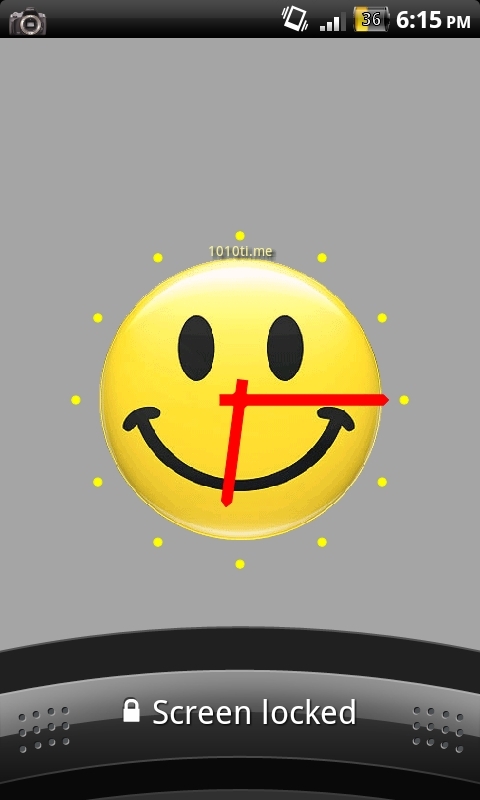 Check out the live demo of the clock app below.